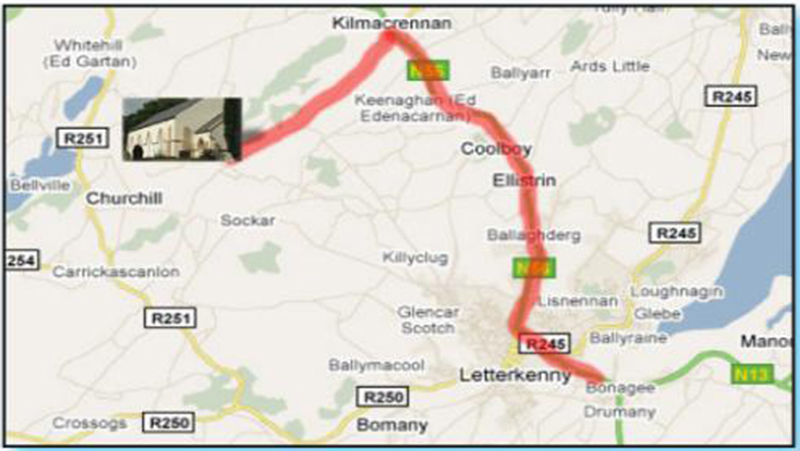 From Letterkenny take the N56 Road towards the village of Kilmacrennan. In the centre of the village turn left at the crossroads (towards Churchill). Trentagh Church is approximately 5km along this road from the turn off.